Last year, the nation was shocked by the controversial campaign by Pancreatic Cancer Action, which featured pancreatic cancer sufferers broadly stating ‘I wish I had breast cancer.’ The advertisement provoked outrage, with many appalled at the idea that the foundation was attempting to imply that certain cancers were worse than others. Following it’s release, the face of the advert, a young woman called Kerry Harvey, was bombarded with abuse, some to the extent of wishing her dead. She has since appeared on television to defend her decision and continue her campaign of alerting people to the ignorance that surrounds pancreatic cancer. Within weeks of of her appearance on ITV’s This Morning, Kerry has died, aged twenty four. Today, Kerry’s husband, Matthew Biggins released a touching statement explaining ”myself and her family are devastated by the loss, but it is also important to us that Kerry’s legacy lives on.” The hard facts are that because pancreatic cancer can take so long to diagnose, it has an horrific survival rate of just 3%, yet it receives a mere 1% of national funding. These facts echo the chilling message that adorned the advertising campaign – not in a way to intentionally belittle patients of other cancers, but to highlight the enormous difference in survival rates between pancreatic cancer and other cancers such as breast cancer (85%) and testicular cancer (97%). A large contributing factor to the terrifying recovery chances of pancreatic cancer is the length of time that it can take to reach a diagnosis. Kerry’s illness began with crippling stomach illnesses, however it took five visits to A&E for doctors to be able to confirm that she had pancreatic cancer. Just ten months later, she has died. The pancreas is an essential part of the digestive process, producing vital hormones and enzymes that work within the body to break down food. 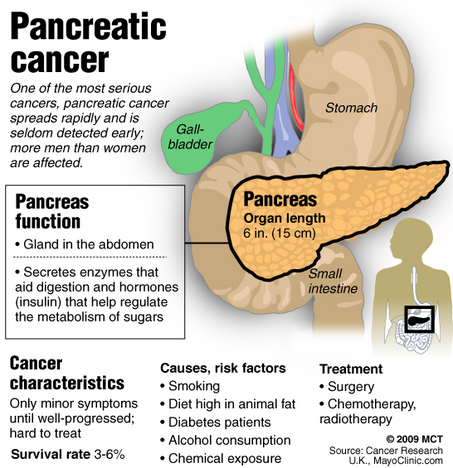 The early symptoms of pancreatic cancer include weight-loss, stomach pains, sickness and jaundice. 80% of people who are diagnosed with pancreatic cancer are over the age of sixty, and the disease is extremely uncommon in those under forty, which makes Kerry’s tragic situation even more harrowing. For further information on pancreatic cancer, please visit Cancer Research UK or Pancreatic Cancer Action. Please take the time to sign the e-petition which is seeking to provide more funding and awareness for pancreatic cancer by clicking here http://epetitions.direct.gov.uk/petitions/48389. In loving memory of Kerry Harvey.